The modern world is filled with creative collaboration. Being in close contact with friends and colleagues is what sparks the greatest ideas and yields the greatest results. So why not make digital collaboration smoother with Droplr? You'll be able to swap files and ideas with your creative team in seconds. And a 4-year subscription is currently available for just $39.99. With Droplr, you can simply drag a file to the Droplr icon on your desktop or hit the short cut key, and you'll automatically upload it to a remote server anyone on your team can access for quick and easy edits or feedback. Snag images or videos of your screen and have them share-ready in a few quick clicks, and control the duration and privacy of each share with password protection for added security. 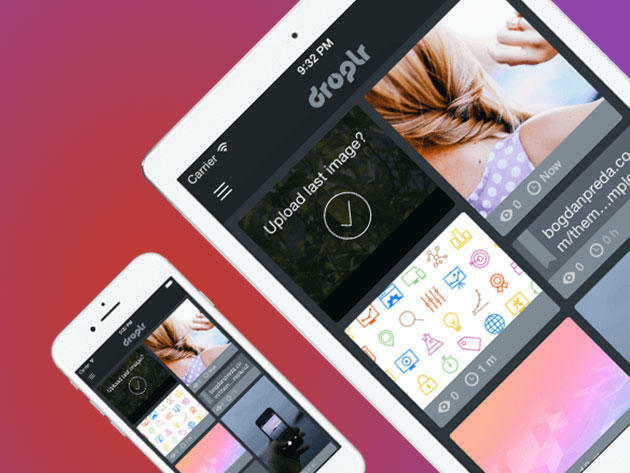 Reinvent your creative, collaborative experience by signing up for Droplr. A 4-year subscription is currently marked down by 89% to just $39.99.